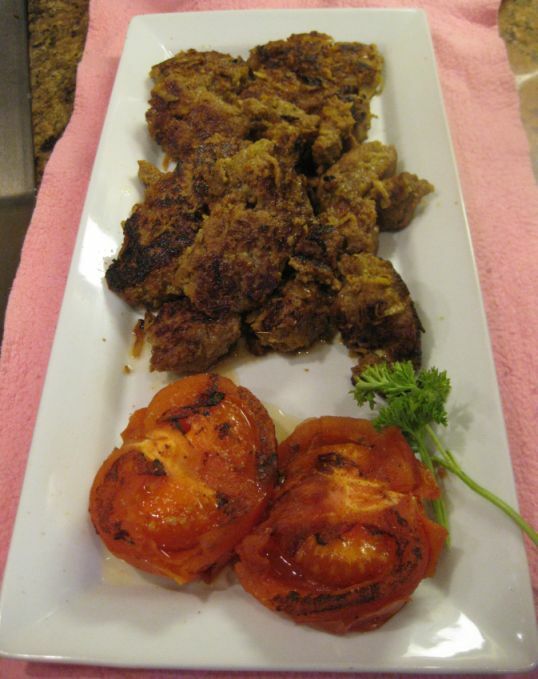 One of my favorite Persian restaurant is Faz located in Sunnyvale! 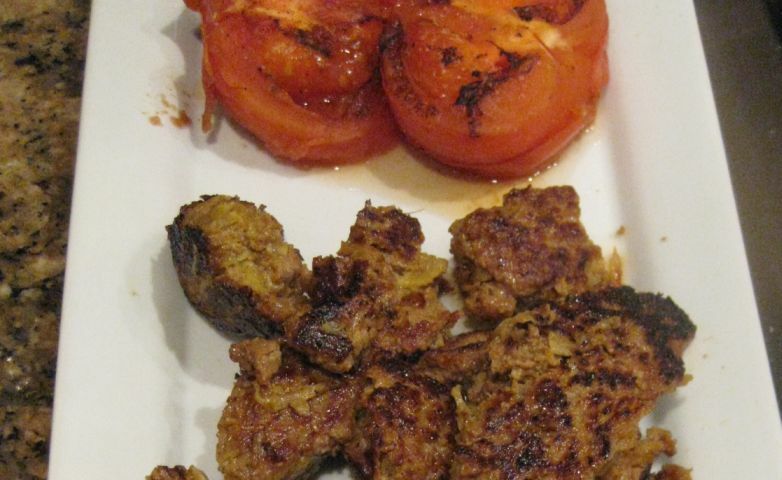 I don't go there very often but Each time I get a chance to eat there, I always order the beef and Chicken Kebabs. 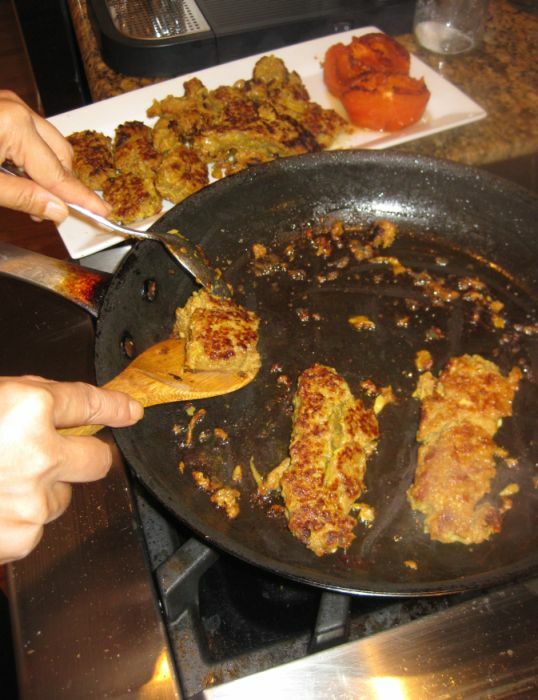 When properly prepared (kubideh is the Persian word for "chopped" or "mashed"), these kebabs are moist and succulent! 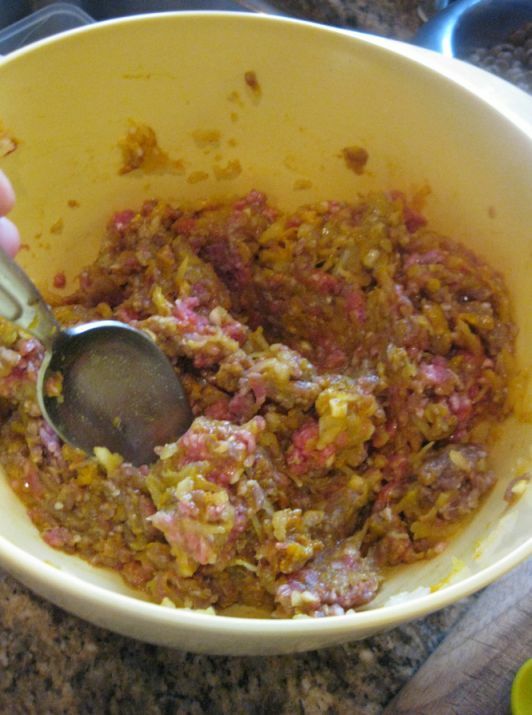 The following recipe requires very little preparation work, but the result is astonishing. 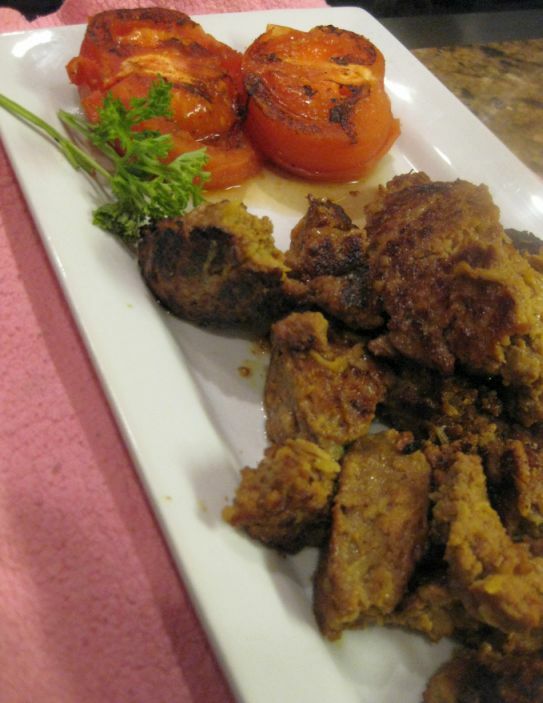 Serve it un-skewered, with a grilled tomato and a mound of rice pilaf or a piece of bread! 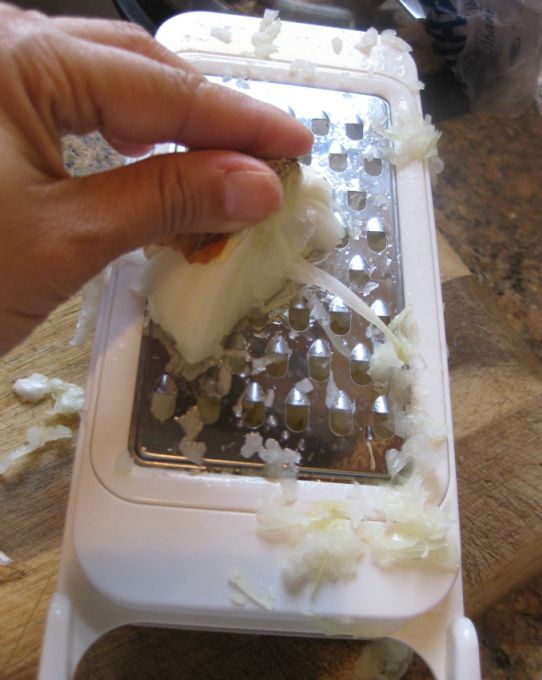 Be sure you grate or purée the onion just prior to adding it to the meat; this will keep it from getting too strong (the longer it remains in contact with air, the stronger it becomes). 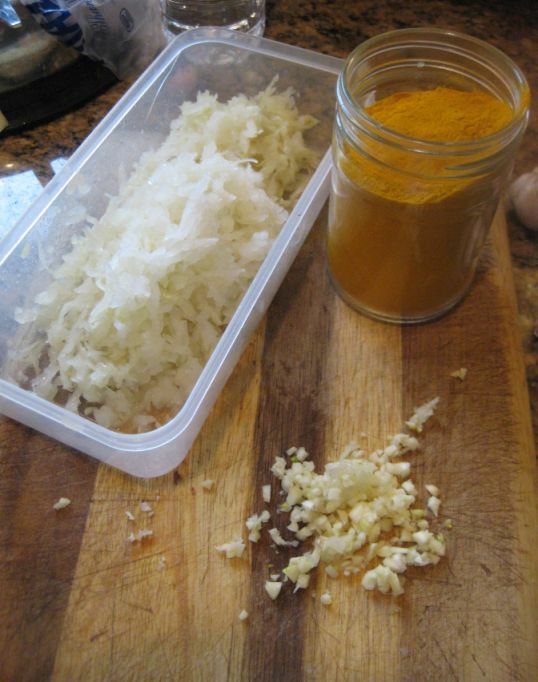 Very simple to prepare but the taste is so yummy! 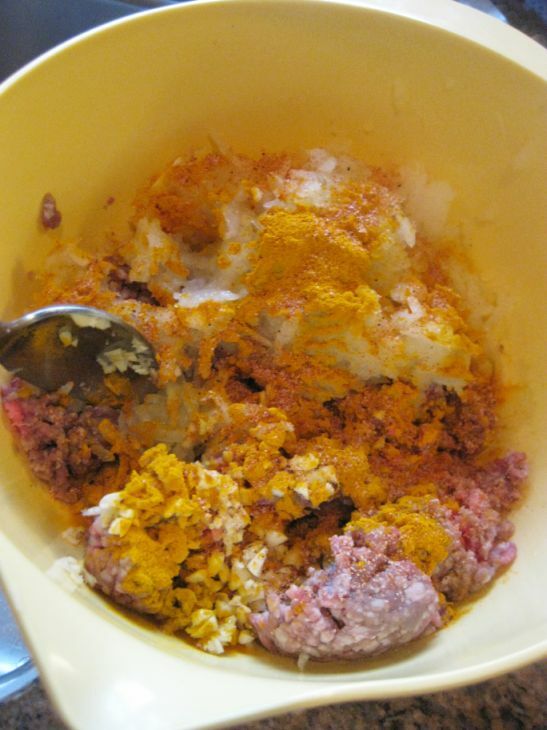 In a large bowl add your ground beef together with the grated onion, chopped garlic, turmeric, ground pepper, and salt. and mix it well together. 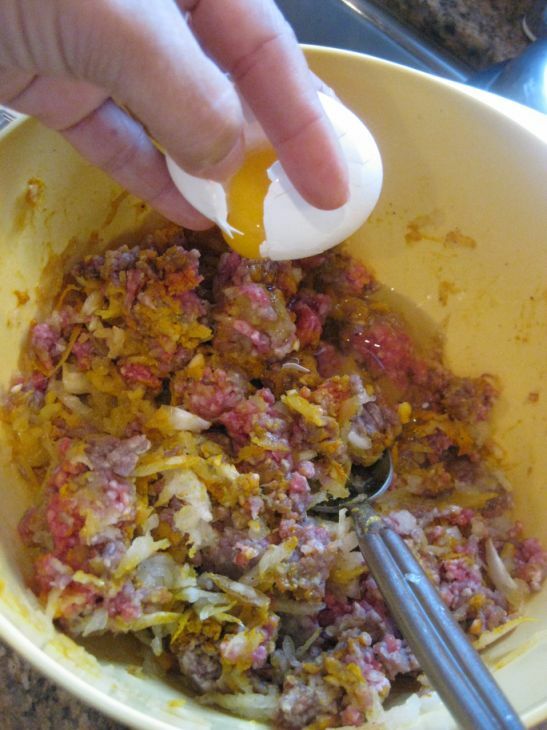 Form the meat mixture into a log or in any shape that you like. 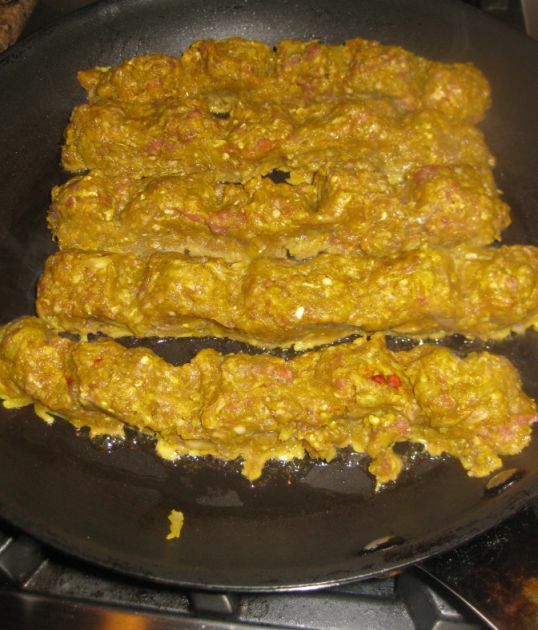 Put the meat into an oiled pan and let it cook on medium heat for about 3 minutes on each side. 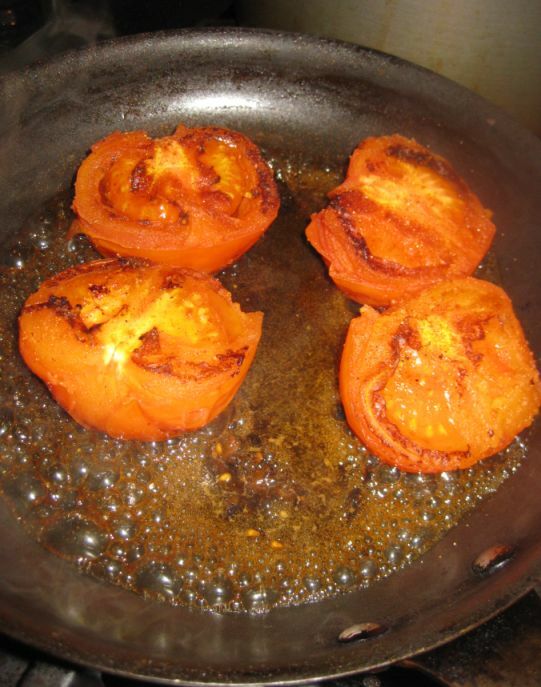 While the beef is cooking I just put the tomato in a hot pan and just let cook slowly. Pour a bit of water in the pan and let the steam cook the tomato. 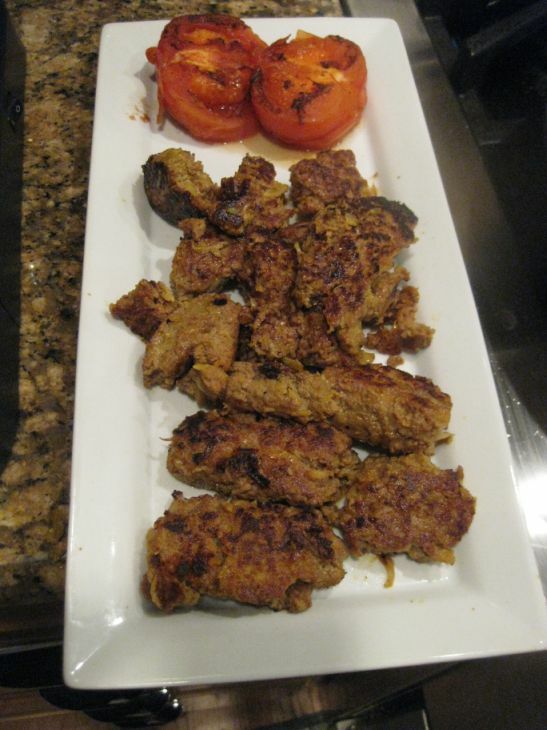 The kabobs are brown on both side and it is ready to be plated. 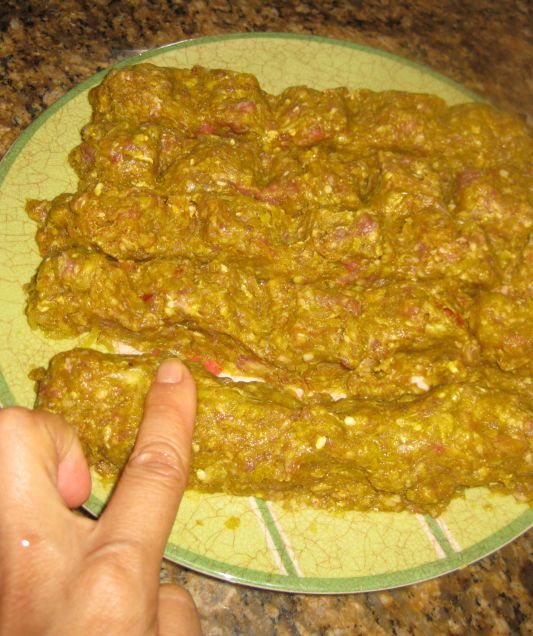 Plating the Kabob on a plate.